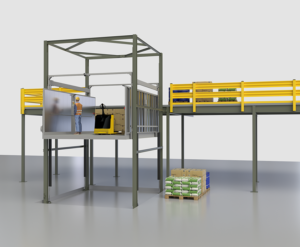 Waukesha, WI — Wildeck, Inc. is pleased to introduce the newest addition to its family of material handling products, the Pallet Drop Zone (DZ) Safety Gate. 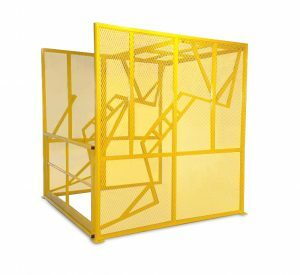 This new product, equipped with a double-sided gate, offers maximum protection to workers accessing large pallet loads at elevated levels. 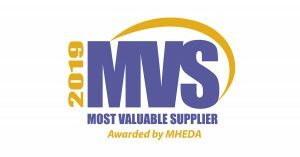 Waukesha, WI – For consecutive years, Wildeck, Inc. has been honored with the MVS (Most Valuable Supplier) Award from MHEDA (Material Handling Equipment Distributors Association). 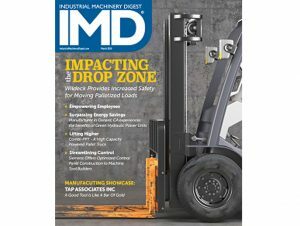 This prestigious accolade is awarded on an annual basis to MHEDA’s member companies that demonstrate a consistent, documented commitment to their dealer network, employees and community. 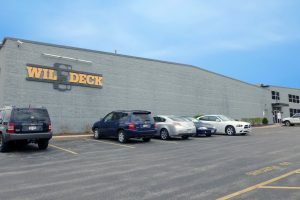 Waukesha, WI – October 14, 2018 – Wildeck is demonstrating how its storing, lifting and guarding products perfectly compliment automation applications within the packaging and converting industries in booth No. 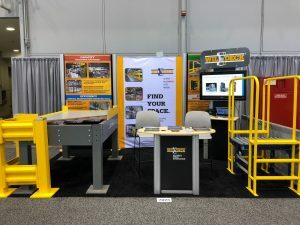 E-7023 at PACK EXPO 2018, Oct. 14-17, at McCormick Place in Chicago. 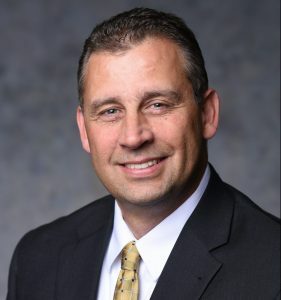 Waukesha, WI – Wildeck, Inc. is excited to announce that Thomas Paulsen has joined the team as the company’s new Chief Financial Officer (CFO). 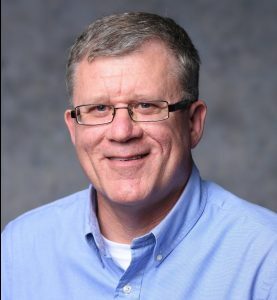 Paulsen will be responsible for overseeing the company’s accounting processes and providing strategic financial input to members of the senior leadership team. 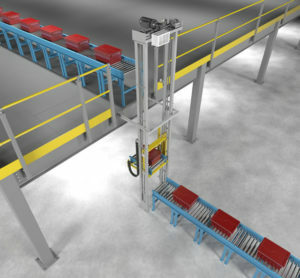 Innovative Wildeck design incorporates non-stop vertical lifting, AC Vector motor/drive system, and high-accuracy digital position sensors for automated material handling between levels.